Donna Duperron, president and CEO of the Torrance Area Chamber of Commerce, calls Shafer an individual who appears larger than life and a true advocate for business. In 2017, Shafer was very involved in support of the Tower Energy Group’s planned development of a gas station and convenience store in Torrance. He believed that this project would foster job growth and economic vitality in an area where many residents opposed the development. Shafer testified before the Torrance City Council twice in support of the development, as well as organizing a petition to sign up other businesses in support of the project. Shafer continues to mentor the hundreds of business owners who make up the Downtown Torrance business community and have issues with building permits, connecting them with the proper City of Torrance department head. He constantly rallies business throughout the city to become active and vocal supporters of job creation. 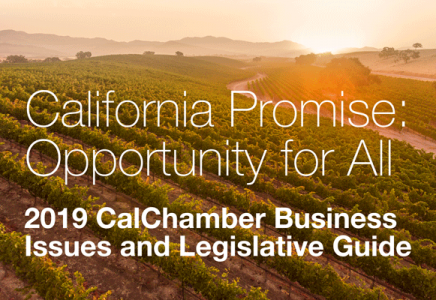 He repeatedly encourages business owners to go before the state Legislature and local councils and boards to support and advocate for other businesses and key issues facing the business community. “Time after time, Michael has been a catalyst for one of the largest businesses in our city, the Torrance Refinery Company,” Duperron wrote in nominating Shafer for the CalChamber business advocacy award. After an explosion at the refinery in February 2015, Shafer took the stand to testify at South Coast Air Quality Management District hearings. The hearings began in 2016 and continue to the present day. Shafer has testified that the 600 family-supporting direct jobs and the 500 contractors’ jobs at the refinery are extremely important to the economic vitality of the City of Torrance. Although some advocates are calling for a ban on chemicals produced at the plant, Shafer has testified that the city and school district would lose millions of dollars in annual tax revenue and gas prices would rise if the ban were to go into effect. Shafer also has been very vocal about the city’s minimum wage ordinance. His testimony before the Los Angeles Board of Supervisors was so compelling that a board member contacted Shafer, asking that he return to address another meeting to share the impact the wage increase would have on local businesses. “Speaking from his heart, and not from a script, Michael captured the ear of the supervisors and all in attendance,” Duperron wrote.